India’s most wanted fugitive terrorist Dawood Ibrahim Kaskar is funding crores to raise terror networks in Bengal, Intelligence sources say. Bangladesh terror organisations run by Dawood’s money are routing funds and exporting terrorists to India, sources in the Special Task Force claim quoting Hussein Anwar a ‘most wanted terrorist’ in that country. A team of STF on September 26 apprehended Hussein alias Jamai Farooq alias Kalo Bhai from the Bangaon border in North 24 Parganas. He is a member of the Shahid Brigade which reportedly works in tandem with Dawood-funded Sahadat-i-Hikma the banned terror outfit in the neighbouring country, sources maintained. Jamai Farooq is likely to be interrogated by the National Investigation Agency soon, sources said not ruling out his links with the Khagragarh blast of October 2, 2014 when two terrorists were accidentally killed while making bombs. The blast blew the lid off an elaborate terror network in Bengal through which terrorists were being recruited and trained before being exported to Bangladesh to eliminate some of its political leadership. Farooq has revealed to the STF officials that he entered India through a relatively unprotected area near Lalgola in Murshidabad district from where he and his two accomplices Salehan and Mijan were taken to Nanoor in Birbhum by on Sk. Leku who also works for the terror organizations. The main job of Farooq who was trained at Bangla camps set up with Dawood funds is to recruit terror moles from Bengal and other parts of India and export them to Bangladesh for training. Intelligence agencies do not rule out links between Dawood organisation and another arrested terror mastermind Abu Bakr a teacher from Simulia Madarsa in Burdwan. Bakr an alleged Khagragarh mastermind responsible for setting up a host of terror centres across Birbhum, Nadia and Burdwan was arrested when he was trying to set up a back-room-support system’ once again with Dawood funds in Basirhat sub-division of North 24 Parganas. Incidentally the Central Board of Direct Taxes had about a year ago seized in the vicinity of Rs80 crore from Kolkata and Siliguri as a part of crackdown against lottery and hawala dealers allegedly channeling funds to Dubai. 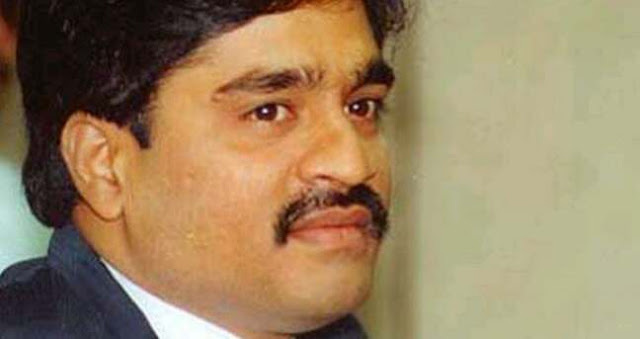 Intelligence agencies were still trying to ascertain whether the money was linked to Dawood’s network. Sources also said quoting Bangladesh’s Counter Terrorism and Trans-national Crime Unit that Dawood’s organizations worked closely with other terror groups like Jamatul Mujahideen Bangladesh (JMB) and were recruiting terrorists from Bengal and training them in the far-flung areas of Bangladesh’s Chittagong and Cox Bazar. Meanwhile, in an unrelated development the police on Sunday arrested two ex-army staff from North Bengal with fake currency worth several thousand, sources said. One of those arrested is Pradip Gogoi a resident of Assam was part of a larger network of fake currency racket, sources said adding they were being interrogated to trace the bigger fishes.